Big announcement: my book will be published on August 15th, 2016!! You may have noticed that my blog has been abnormally quiet this year – and absolutely silent for nearly four months! I’d like to explain. It doesn’t help that I have found my college workload more difficult this year. I’d been told the jump from first year to second year was big, but it still surprised me! And while I’ve continued to process my experience as an “expatriate-in-exile” (as I’ve taken to calling myself) I am feeling better connected here now and I have felt less need to do therapy-through-writing. But the REAL reason behind my silence is much more exciting. I’ve spent over three years working on a book about Third Culture Kids, and it is finally being released on August 15th – just over two weeks away!! 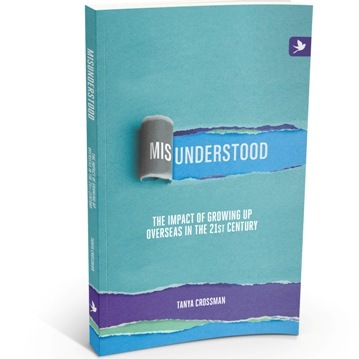 Misunderstood: The Impact of Growing Up Overseas in the 21st Century will be available on Amazon (paperback and Kindle) as well as other ebook formats, and I will also be selling paperbacks in person. It is being published by Summertime Publishing, who have been wonderful. More than 600 people are connected to the Misunderstood facebook page. It is the best place to stay up to date with what’s happening with the book, and I also share a few links most weeks to helpful articles related to expats/TCKs. I’m slowly getting into the swing of things on twitter, where I share more links to helpful content. I’d love to connect with you there! This is where my article on “What is a TCK?” is posted. I’ll continue to write here, plus you can find reviews of my book, and links to posts about it around the internet. I am SO EXCITED to share my work with the wider world! While writing Misunderstood I interviewed nearly 300 TCKs (mostly under age 35 but about 50 older TCKs as well) and I conducted a separate survey of 750 TCKs. Quotes from over 100 interviews are sprinkled through the books – almost every page has a story told in a TCK’s own words, complementing the content I have written. I love that my book is filled with their voices. I have worked so hard on this project for so long, and knowing that soon it will be in the actual hands of people around the world is hard to believe! So, thank you for your patience with my silence, and your encouragement with my writing. I hope I’ll come back to writing stories here at some point, but rest assured I’ll definitely be writing! Speaking of which, during my mid-year break I had an impromptu guest post published on mission blog A Life Overseas. My friend Jonathan wrote a great post about interaction between men and women in the church, and asked for my feedback before publishing. Then he and Elizabeth (his lovely wife, and editor of ALO) suggested my response be published as a companion piece. And there you go – instant instant guest post!